Do you want to buy the best Tablet? Here it is how!! Making a choice has never been difficult before as it is now - specially when it comes to buying a smartphone, a tab or a note. There is so much variety out there on the shelves that one really gets confused as almost all gadgets offer service better than the others, as they claim. But when you finally buy one, it dawns upon you that you made a bad bargain. So what to do? well if you really want an expert's advice, continue reading the post - you may find decision making easy and no (or should I say lesser) repentance thereafter. Talking specifically of the Tablets, a survey by IDC shows that of the 28.2 million tablets shipped in the last quarter of 2011, more than half of them were iPads. However, Google, the other major player in the tablet space, has also made some nice market share gains with its Android operating system. The first question that you should ask yourself is: Do you really want a Tablet? This is very important. Many potential buyers still think that they can make a call with a tablet, just like any other smartphone - well they are sadly mistaken. A tablet is a touch-screen media device that is actually most similar to a portable media player, but with a larger screen. Many tablets have mobile service features, but they don't make phone calls via a traditional mobile provider. Secondly, while you can tackle productivity tasks on an iPad or an Android tablet, you won't get a desktop-grade operating system, like you'll find on a PC. Plus, since we're talking about slates here, there's no hardware keyboard. The main focus of the tablets we'll discuss is media consumption. However, Tablets have an advantage over both laptops and phones, offering a portable way to check email, browse the Web, video chat, watch movies, listen to music, and play games, but with a bigger screen with more real estate than your smartphone can provide. Now while we have ascertained that you need a Tablet, one should know a few tech things before making a decision. 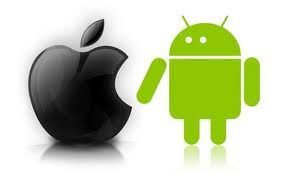 There are two OS presently in the market: the iOS specific to the Apple's iPad and the Android for all other Tablets. If you choose iPad, then you are restricted to an OS that is Apple specific and will be dependent on all developments as deemed fit and right by Apple. However in case of Android based Tablets, there is a wide variety of apps that are being developed world wide for incorporating in any android based gadgets, including a Tablet of any brand. However, there are versions of Android that may confuse an ordinary user like the Ice Cream Sandwhich, Jelly Bean or Gingerbread. But for larger screen tablets, ideally, you want Android 4.0. The good news is that most Honeycomb tablets will be upgradeable to Ice Cream Sandwich. Just when is the question. Android is infamous for painfully slow OS updates. Lastly, there's RIM's QNX operating system, which runs on the company's BlackBerry PlayBook $177.99 at Amazon tablet. Despite having a top-notch user interface with some promising features, like tight integration with BlackBerry smartphones, the PlayBook was released well before it was ready, and while RIM has added features since then, the tablet has failed to gain traction, despite a more-than-50-percent price drop.